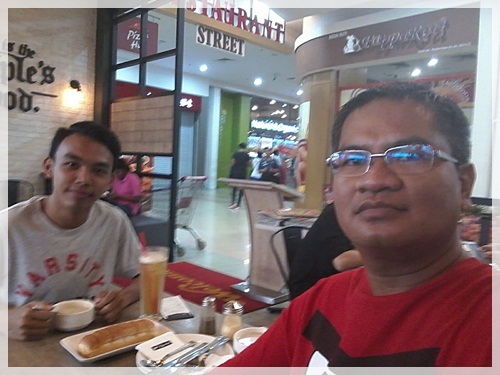 The first reunion meeting was with Mr. Ng Cheng Khai, ex-SMKTUN of SPM batch 2013. This should be some sort of our annual gathering in conjunction with the Chinese New Year celebration. We met at KFC Taman Universiti for less than an hour but that should be good enough to catch up lost time. 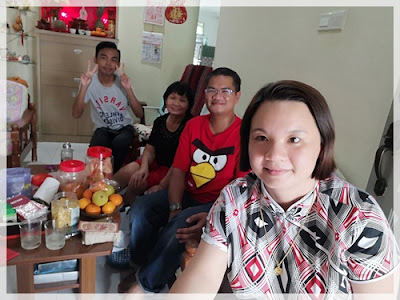 Next, I made a house visit to see another ex-student of SMKTUN, Miss Ng Lee Lan of SPM batch 2003. The last time I saw her was many years ago when she gave me a dinner treat, with another teacher friend. She is staying in Taman Universiti with both her parents, and too bad her other sisters who are also my ex-students were not at home. 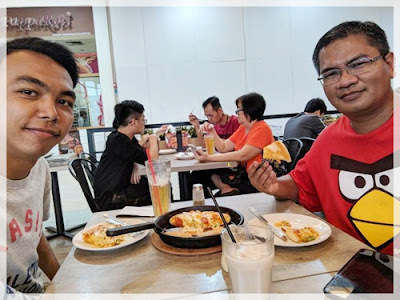 The last gathering was more of early dinner kind of thing with Mr. Haiqal Johari (SMKTUN SPM batch 2016) who were back for the long weekends break. We settled for pizza at AEON Bukit Indah. There were actually a lot of people at the mall. Shouldn't this people be staying at home with their family members on the first day of new year?